Peninsula Mines (ASX: PSM) has one eye to the blue sky and the other on the calculator as it looks to entrench itself in contemporary projects with the best available assets. This up-and-coming explorer has exposure to multiple hot commodities – graphite, lithium, zinc, silver and gold. That’s five separate plays with bright-looking futures. It has also planted itself in South Korea, a location that is cost effective for exploration, has the potential for significant offtake deals and where post-mine processing is right at its fingertips – particularly for the “energy metals”, graphite and lithium, the key components of lithium-ion batteries of which South Korea is the world’s leading manufacturer. You can see how much influence graphite and lithium have had with regard to product development by looking at existing tech giants including massive brands such as Samsung, Hyundai and LG Electronics, who will most likely require the minerals being explored for by the likes of PSM. These companies now have a graphite/lithium needed for lithium-ion batteries to help power their cars and other high-tech gadgets. Notably, these companies are based in South Korea, as in recent times the country has become a commercial heavyweight by deliberatively investing resources into research and development and leading the way on patents and IT. It has certainly been supportive of PSM thus far. 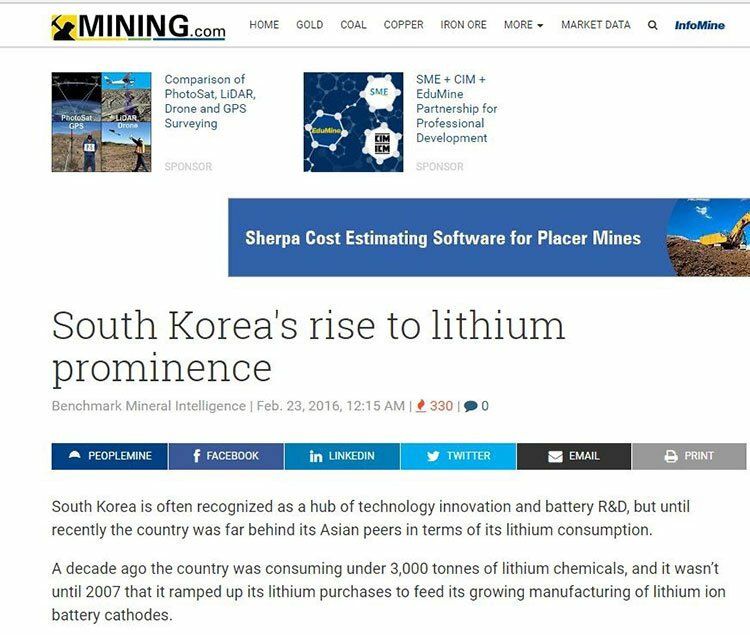 The suits PSM nicely and is the main reason why mining in South Korea is an attractive option: close proximity to electronics and tech companies who need lithium and graphite for downstream applications; and geographically close to Asian economic powerhouses... leading to much clearer paths to market. With that in mind, PSM is moving at full steam, initially with its graphite play. 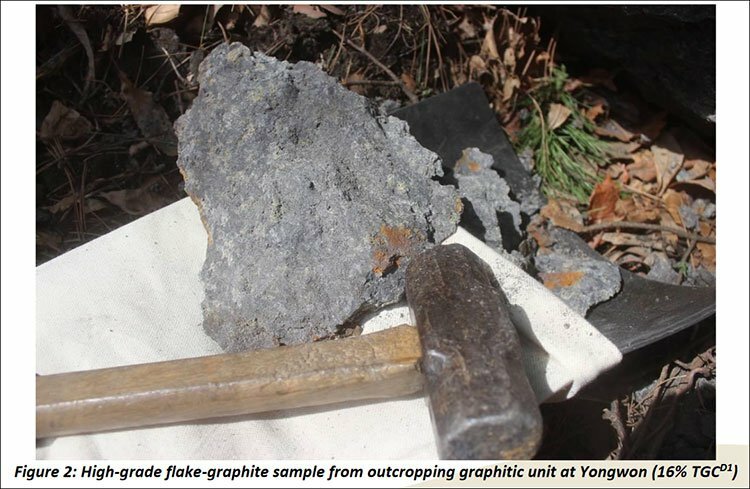 The Yongwon Graphite Project recently delivered excellent metallurgical results showing a concentrate grade of 97% graphitic carbon. Based on these results, PSM will shortly undertake further metallurgical testing to test the spherical graphite processing potential that may one day feed the world’s leading lithium-ion battery manufacturing market in South Korea. Although it should be noted here that PSM is still an early stage play and has a long way to go before it has an impact on the South Korean market. Investors considering this stock should bear this in mind and seek professional financial advice before making an investment decision. All of this work will shortly lead to a Q2 2017 drilling program which will be designed to define a maiden Indicated Resource. Working towards that Resource is big news in itself, remember, however, this isn’t a company with all its eggs in the one basket. 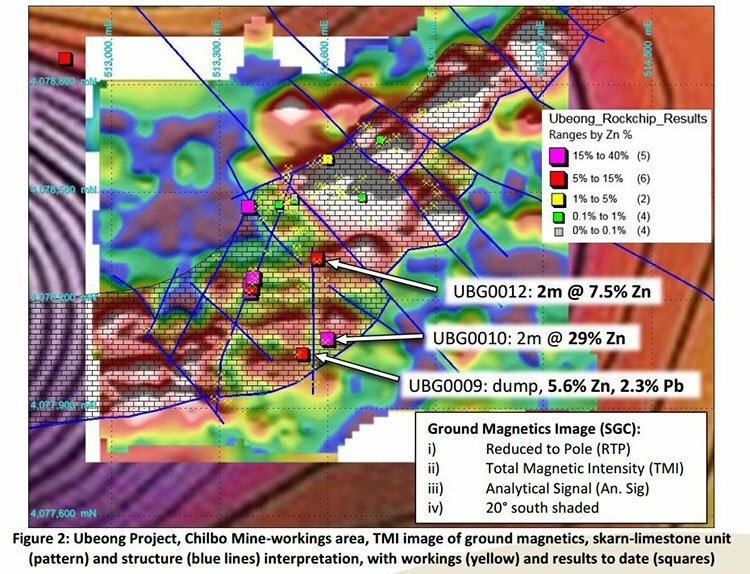 It has also recently accelerated and targeted a work programme that has identified a major zinc-skarn district centred on the extensive Chilbo Mine historical workings at the Ubeong Zinc-Silver Project, having already delivered results including [email protected] 29% Zinc from outcropping massive-sulphide lode. The company is also looking to drill a high-grade gold project and is advancing a lithium project as well. So, as you can see PSM has not sat idle over the last couple of months and is working all its angles. Now let’s look more broadly at what PSM has been up to lately: capital raisings, drilling programs and various exploration applications and discoveries. There’s plenty to catch up on so let’s get started. 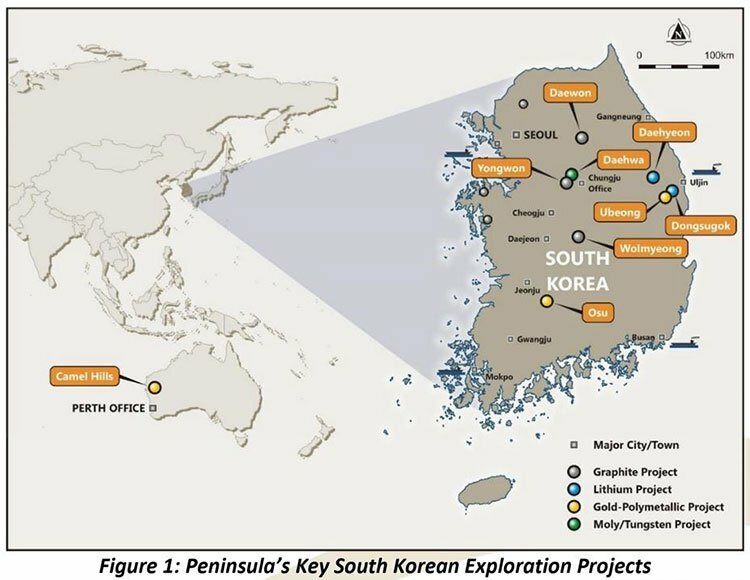 We first alerted you to Peninsula Mines in the article ASX Stock Hones in on Graphite and Lithium to Supply Advanced Asian Battery Market , where we introduced the idea of South Korea being a major manufacturing hub with a requirement for many of the minerals Peninsula Mines Limited (ASX:PSM) is exploring for. Since that article back in late October, the company has been busy shoring up its assets across the wide spectrum of lithium, graphite, zinc, gold and silver. It has been steady growth for PSM, holding investor interest since it raised $1.6M from existing shareholders late last year. Meanwhile, positive newsflow continues keeping the company front of mind. Its most recent news has come out of its Yongwon Graphite Project. PSM’s most recent win relates to its Yongwon Graphite Project. In early January, PSM announced excellent metallurgical results producing a concentrate grade of 97% graphitic carbon . 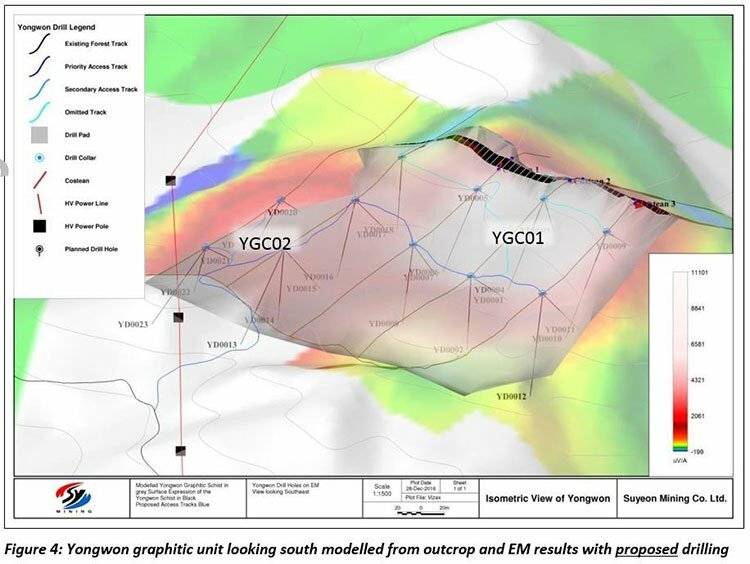 PSM also released high-grade trenching results of 9.7 metres found a grade of 11.7% graphitic carbon, demonstrating the substantial thickness and high-grade of the deposit and, furthermore, an electromagnetic survey of the site also defined a conductive graphitic unit over more than 400 metres strike length. We touched on this market earlier, but here’s a reminder of just how big it is. Lithium and graphite are the main components of this lithium-ion-(graphite) battery technology. So with that in mind, and given its location, PSM’s results look all the more impressive. A high-grade trenching intersection of 9.7m grading 11.7% TGC including 2.5m @ 16.9% TGC and 2.45m @ 16.1% TGC has been achieved from initial trenching across the outcropping graphitic unit. And that’s not yet the entire width of the unit, (estimated to be at least 10m wide at surface) so there will be further trenching to come. The team at PSM, and its consultant IMO Project Services, have been working hard to devise an optimal processing flowsheet for the production of high-grade graphite concentrate which will be most attractive to battery producers. 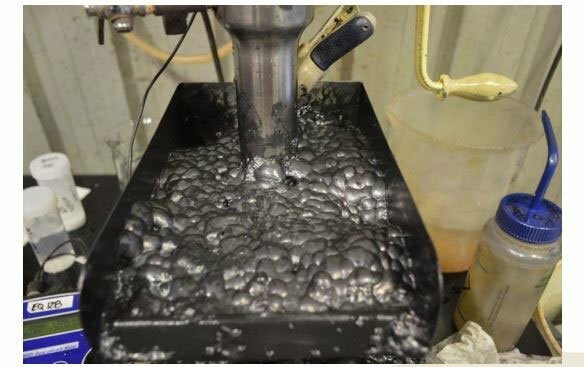 Through the process the team was able to achieve an average of 97% total graphitic carbon (TGC) and 87.3% graphite recovery. The metallurgical testwork was conducted at NAGROM laboratories in Perth by IMO Project Services. IMO achieved an average concentrate grade based on Loss on Ignition at 1000 0 C of 97% TGC and overall graphite recovery of 87.3% based on TGC. Here’s a look at the graphite flotation process being undertaken at NAGROM. 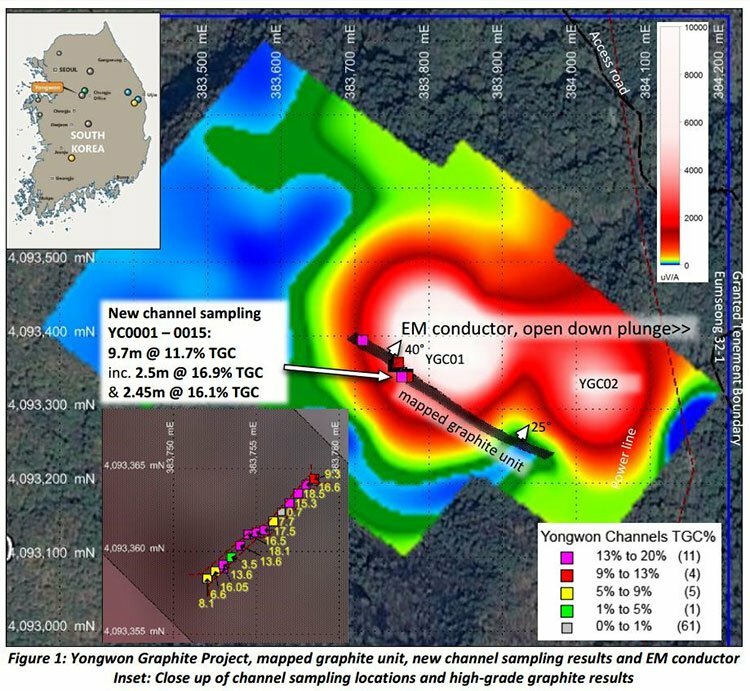 These results are unquestionably positive, and will prompt the company to continue testing and releasing results at a high volume as they make the most of the three-year exploration rights they currently have at Yongwon. That time period can be extended to six years but the project would need to prove itself viable and lucrative, first. PSM can convert the exploration license to a formal mining rights application when enough testing has been done to put that process in motion. With reports from the company last year that it had identified ‘jumbo’ sized graphite flakes , investors could reasonably expect big things from PSM’s graphite play... and talk of offtake deals with lithium-ion battery manufacturers as the company produces more proof they’re onto a significant Resource. However do note that offtake agreements are some way from being struck by PSM, and investors should seek professional financial advice if considering this stock for their portfolio. South Korea historically has been a strong area for gold production, so out of all the irons PSM has in the fire, this one has the most history of previous exploration. Its other targets – like lithium and graphite – have not always been as popular as they are now and so are underexplored in the region. But gold is almost always good, as it’s straightforward to produce and the product can be sold directly to market. And PSM’s Osu Gold project has momentum – so in regards to past success, there’s more where that came from apparently. In December the company announced favourable high-grade results from its gold channel sampling at Osu . The figures were 5.7m @ 3.14 g/t Au, incl. 1.25m @ 7.73 g/t Au (PG038 – 042); 0.15m @ 11.3 g/t Au, 327 g/t Ag, 0.56% Cu, 0.7% Pb (PGO57B); 0.20m @ 18.3 g/t Au, 224 g/t Ag, 2.63% Pb (PGO47). What we’re looking at with Osu is a 30 metre section exposing multiple epithermal quartz-carbonate-sulphide veins and mineralised shear zones that are prospective for gold. Previously, the individual veins within this zone have assayed up to 0.14m @ 20.3 g/t gold, 153 g/t silver. The next stages will look at down-plunge extension of high-grade zones, and will require new Forestry Department access consent before it can kick into gear. As mentioned earlier, South Korea has historically been of interest for gold miners. Early explorers of the region were forced to mine for gold using hand-held methods, which meant very limited tonnage was recovered, leaving more behind for the likes of PSM to discover in future. Depending on the specific hole locations, consents are need from any of the Forestry Department, individual landholders, and local council; all of which are underway and it believes it can do quickly enough to begin drilling in the next few months. This is the project closest to drilling for PSM, which means it could be its golden ticket (pun intended) to cash-flow central. PSM’s latest update around its zinc-silver Ubeong project shows channel sampling yielding high-grade results for both minerals. In fact, in December it announced the discovery a major zinc-skarn district . Sounds quite exotic really, ‘zinc-skarn district’, but for those in the mining world that phrase simply evokes prospectivity and potential profitability. This skarn district associated with the historical Chilbo mine workings is the most rousing find by far – with newly sampled workings showing zinc grades up to 39.7%. And the fact that PSM were able to peg over 10km of this historical mining district says a lot for the opportunities in South Korea. So, for the record, that’s mineralisation containing zinc, silver, lead, copper and gold. Basically, it’s a mineral explorer’s one-stop-shop. The company traced smelter slag upstream to locate two areas of substantial workings that have been sampled. A dump sample from an historic adit produced a result of 12.7% zinc, 19.1% lead and 669 grams per tonne silver. In addition, rock chip sampling produced results including 5.4% zinc and 200 grams per tonne silver. More follow up testing is to come as these results show exceptionally high-grade for zinc and silver – music to the ears of PSM management... and those holding its shares. This 10km strike length of the limestone skarn unit, over which the company has 21 tenement applications, represents huge potential for the discovery of massive sulphide deposits, with up to 40% zinc found through some outcrop samples... all of that spells a lot of near-term upside. The zinc project may be a bit further away from commencing drilling, but the company has high hopes of getting those drill bits turning as soon as possible – potentially within the next 12 months. If these early results are anything to go by, it makes sense that PSM would push this project to the top of their extensive list. November was when PSM released the latest update on its Tonggo lithium prospect. 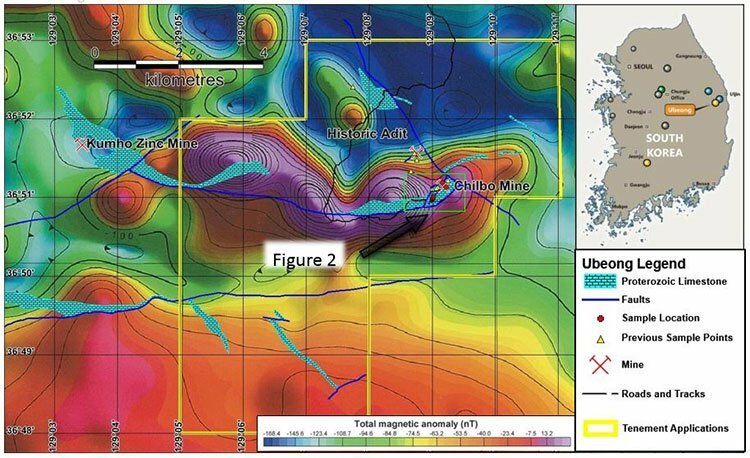 In its exploration activities of the site, anomalous lithium stream sediment geochemistry has been identified >100m wide and a continuous 2km to 3km strike length. This is thought to be an anomalous pegmatite corridor, and the company hopes it will contain a whole lot of lithium. The Tonggo prospect is part of PSM’s Dongsugok Project, which is also prospective for zinc, tin and gold and adjoins the Ubeong project area described above. But as far as lithium goes, previous results have been reported up to 219 ppm Li 2 . 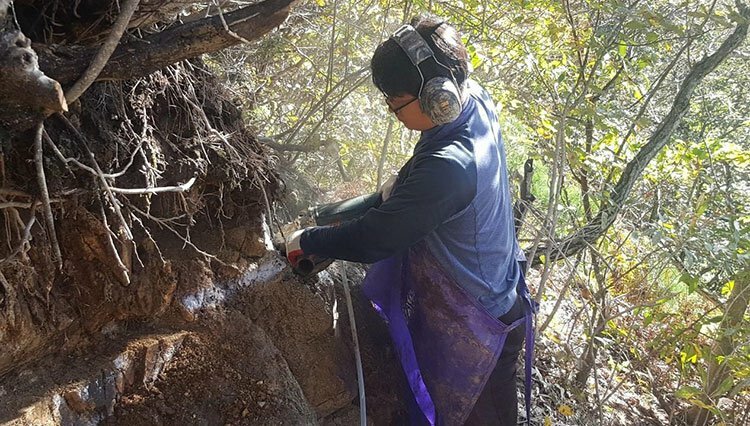 It was back in February 2016 when the company expanded its portfolio of lithium prospects in South Korea after filing 53 tenement applications over a highly prospective area for lithium-pegmatite mineralisation that includes a small operating lithium mine. Sampling in the area also suggests that the Tonggo prospect pegmatites are potentially the most lithium-bearing in the area... as they have produced the most anomalous geochemical results to date, but more steps are required, including ridge and spur soil sampling, across the anomalous pegmatite trend in order to define drill targets. In its last quarterly report, PSM stated it was holding $1.16M in cash and had no debt. In October the company announced a $1.68M capital raise (pre costs) – the issuance of shares at 2.1 cents to new and existing shareholders – which was approved at the November AGM. The second and final tranche of $250,000 from major shareholder Aurora Minerals Ltd was paid in December . Along with Aurora, the executive director of PSM Martin Pyle also took part in the placement at the same share price. It certainly doesn’t hurt to see management’s skin in the game at this stage of PSM’s story. The capital raise is a vital shot in the arm for a company with a potentially high-profit final destination, but needing a lot of sustenance along the path to get there... exploration, test work programmes, geophysics, mapping and sampling across its graphite, zinc-silver, gold and lithium sites all cost money but the payoffs can be large if success is struck. However, like all speculative mining stocks – success is no guarantee to occur and investors should only use the information in this article in conjunction with other publicly available information before making an investment decision. As expected, a major portion of current funds will go towards the fine-tuning of future drill targets; getting that right can make or break a small mining play. With working capital and no debt, PSM will be looking to deliver results thick and fast to shareholders. PSM currently has an $11.8M market cap – so now is the time it will look to build projects as well as a steady community of investors, partners and supporters both in South Korea and Australia where it’s listed. If you’re after the ultimate combination of hot commodities and strategic diversification, you may want to keep an eye on news coming out from this small cap stock, holding a growing portfolio of graphite, lithium and gold-polymetallic projects with significant discovery potential. ... right in the heart of high-tech battery mecca of South Korea. There is no shortage of companies who require lithium and graphite for lithium-ion batteries in South Korea and what’s more, the company has a well-established bond with the South Korean government, built over five years of work within the country. The government has contributed funding towards PSM’s exploration before and could well do again. As an added bonus, since lithium and graphite supply are pivotal to its economic success, the South Korean government has implemented favourable tax regimes when it comes to mineral exploration and mining... and with a skilled labour market and a generally strong work ethic, there’s ready access to all that a mining company might need. The country of choice also means they’re right on the doorstep of manufacturing centres of Japan and China, too. So you can see why a suite of companies would want to be headquartered in the country. Can PSM steer its fleet of ships all the way to the promise land of production? With current results in tow, it is certainly not out of the question.